Mathematics is a coherent and connected enterprise. To reflect this we have organised our resources along a system of thematic tube lines. These resources support teachers in the classroom. 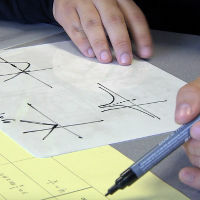 They help students build firm foundations for mathematical understanding by connecting ideas and developing techniques. 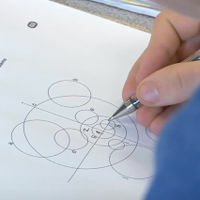 This approach to post-16 mathematics was developed by the University of Cambridge, funded by a grant from the UK Department for Education. The resources are free for all users. The website is now hosted by NRICH. 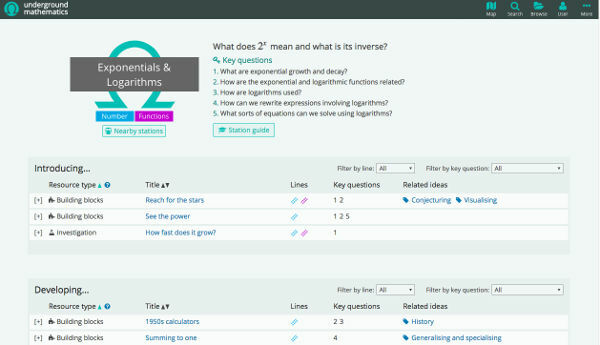 Designed to stimulate students' curiosity and elicit discovery of ideas, the resources can be used flexibly, offering a meaningful challenge to all students. Resources encourage students to pose questions, reflect and collaborate, deepening their individual understanding. We worked closely with partner schools across England to develop the project and our Champion teachers continue to trial resources and provide feedback. Teachers’ experiences have fed into teacher notes that accompany resources. Resources have been designed for classroom use and often include printable card sets and worksheets. Interactive elements such as GeoGebra applets and card sorts can be used on the site. The tubemap shows multiple connections between topics. In addition, processes and pervasive ideas allow users to connect resources by thinking about approaches to the problems and the concepts involved. Solutions are provided which also offer questions, suggestions of multiple approaches, and opportunities for reflection. 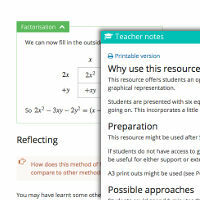 Brief teacher notes within resources provide support for using the resources in the classroom. Our resources are organised into topics or stations on a map or tubemap showing the connections between them. Watch this video or use the preceding menu to find out more. 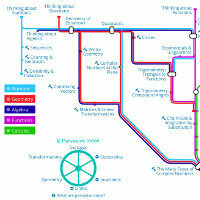 The mathematics has been organised along a system of tube lines, which reflect big themes that run through mathematics. 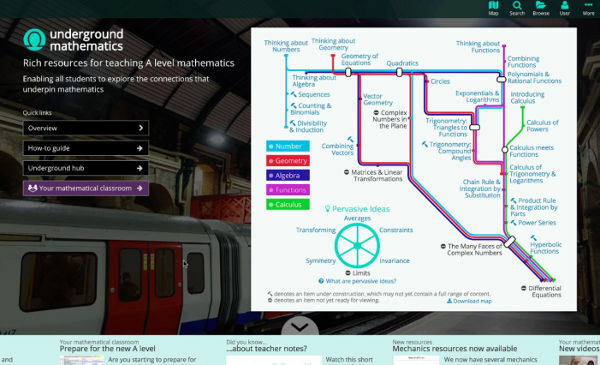 The tubemap offers a way to navigate to resources for teaching a particular area of mathematics; resources can be accessed by clicking on a station name. Some stations are still in development and this is indicated by a construction symbol. You can access the map at any time by clicking the Map button in the main menu. Each station features an overarching question that could be used to stimulate curiosity. There are a number of key questions that summarise the ideas that arise in the resources. You can filter resources by selecting a key question. You can also filter resources by tube line, if you wish to choose a resource with a particular emphasis. The resources that are available at each station may come under three headings. Resources that introduce new ideas relating to the station are in the “Introducing” section. “Developing” resources may build on these ideas or earlier work. “Review questions” are mostly drawn from past examination questions and have been chosen as ones that are interesting in nature and require non-routine thinking. To help you find the resources you are looking for, we have classified them according to twelve resource types. Resources are divided into sections. In some cases this may be a warm-up followed by a larger task, and others may have a problem followed by a suggestion of how to tackle it. Almost all resources contain a solution or a “Things you might have noticed” section. This may help you to think about questions you might ask students, to see areas where students could get stuck, or offer further insight into how you might use the resource in your classroom. Further support is offered in the teacher notes. By clicking on a pervasive idea you will find a description of how the idea arises within the resources. 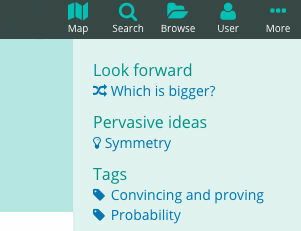 If pervasive ideas are highlighted in a resource they appear in the sidebar (or bottom-bar on a small screen) and in the list of resources at the station (on a wide screen). Use the Search button in the top menu bar to open the search dialog. You can search for resources by title, keywords or text within the resource. Review questions can be searched by question Ref. 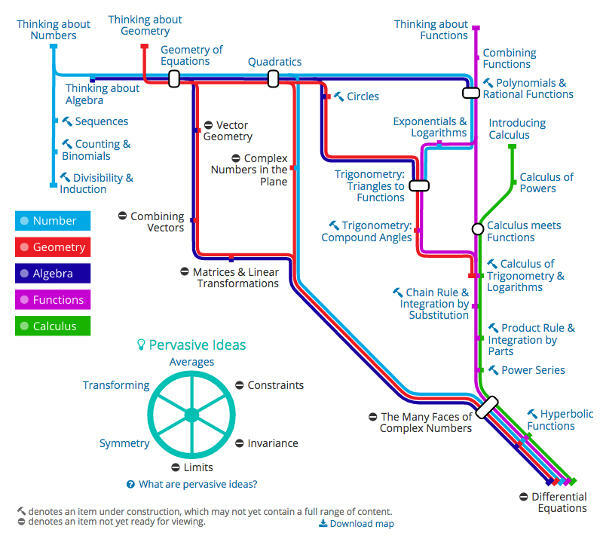 You can also search for pervasive ideas and mathematical processes such as visualising. You can also browse all our material with filtering options by clicking the Browse button in the main menu. You can save a resource for later by adding it to your resource collection. To do this click the star next to the resource title. Note you must log in or register to use this facility. 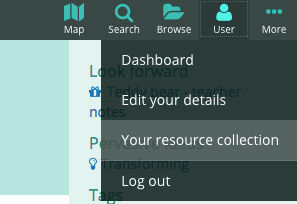 To access your resource collection, click the User button in the top menu bar then Your resource collection. Within your resource collection, you can organise your resources by creating ordered subcollections. To add a resource to a subcollection, click the add to subcollection icon in your resource collection table. To select a subcollection, use the drop-down list above the table. You can also generate a PDF of resources from a subcollection, which could be used to generate your own exam from our review questions, for example. The More menu in the top right contains links to the Underground hub, our About and contact page and the Your mathematical classroom section of the site. Our About page contains a video explaining our philosophy. 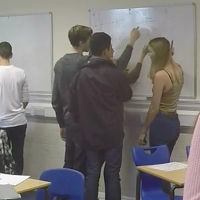 The Your mathematical classroom area of the site is accessible from the More menu and has been coloured purple to distinguish it from the rest of the site, as well as having its own menu once inside this area. It contains support for using our resources in the classroom as well as professional development opportunities. This includes the Bundles page, which contains small collections of resources that have a particular focus or goal, our Resources in action page, which provides detailed teacher support for a handful of resources, our blog, upcoming and recorded webinars, a courses page, and information about our Champions programme. More how-to videos can be found on the How-to guide page. The resources have been designed to be used flexibly in the classroom. For using resources via a projector you can select the fullscreen mode. The printable/supporting materials link allows you to print or download the resource or any extras, such as card sorts or worksheets. Using individual devices will allow students to control the GeoGebra applets which appear in some resources.